What makes a fabulous loaf of cream cheese pound cake  even more fabulous? 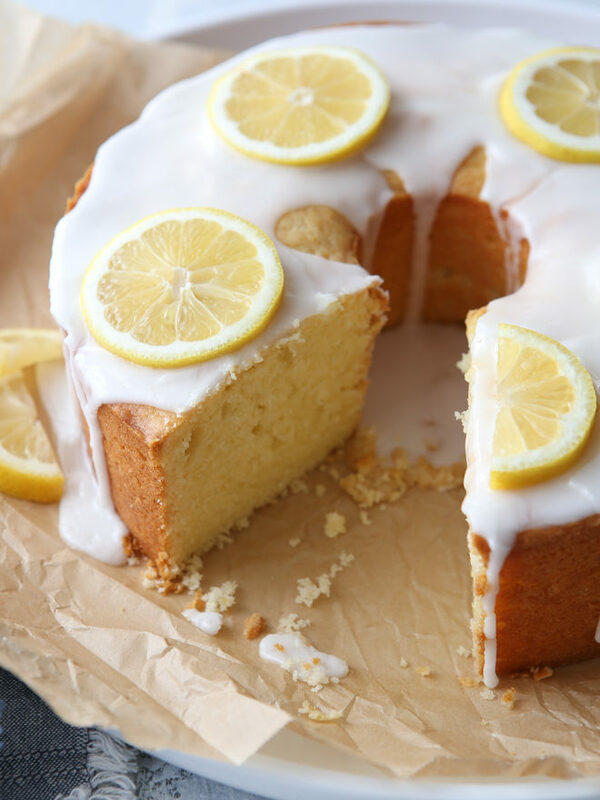 Fill it with lemon zest and drench the whole thing with a lemon glaze! 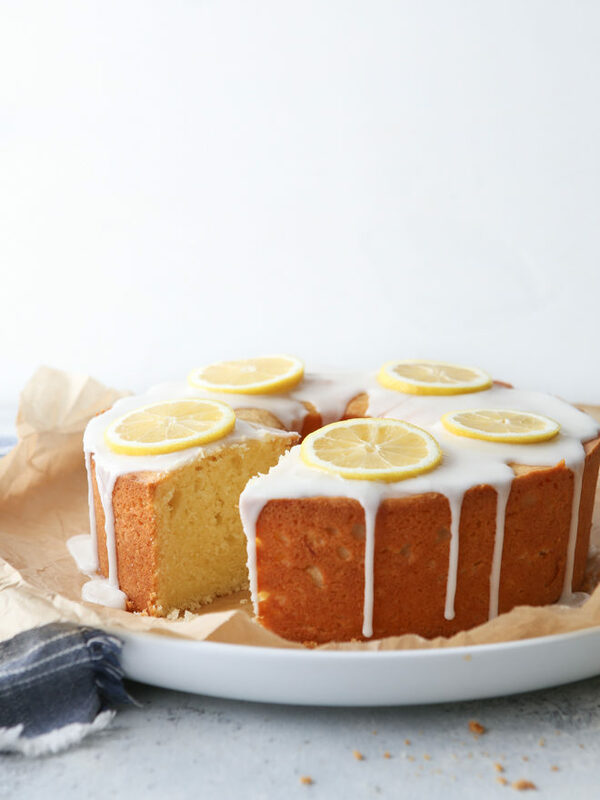 It’s a lemon lover’s dream come true, but it’s also sure to be a hit with everyone. This lemon cream cheese pound cake is dense, but also soft and tender. It’s got a rich, buttery flavor with plenty of tanginess from the fresh citrus and cream cheese. Plus, pound cakes are one of the easiest cakes to bake and serve! 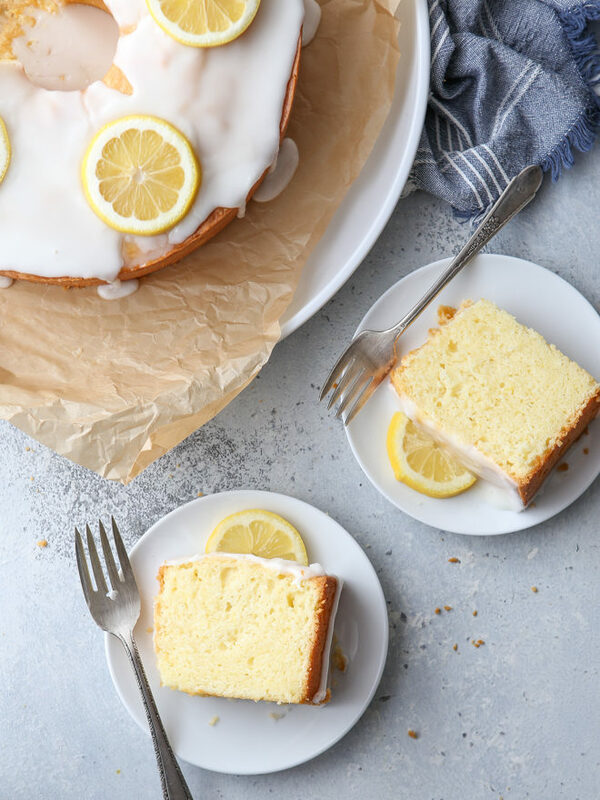 No need to fuss over fillings, frosting or assembly— a simple drizzle of glaze and some lemon slices are all this cake needs to look beautiful and impressive. Don’t skimp on ingredients, use only real butter and full-fat cream cheese. Start with room temperature ingredients. Pull your eggs, butter, and cream cheese out of the fridge at least 1 hour before making the cake. Room temperature ingredients will combine and whip better, creating more volume in your cake. Short on time? See my tips for bringing these ingredients to room temperature quickly— eggs , butter , cream cheese . Beat the butter, cream cheese, and sugar for the full time to cream all of the ingredients properly. This will help with volume, too. Use the scoop and level method  to measure flour, which will prevent you from accidentally adding more flour than you need. Or better yet, use a kitchen scale  to weigh all of your dry ingredients for accuracy. Don’t over mix the batter or you may end up with a dense cake. Don’t overbake or underbake. Bake the cake just until a tooth pick inserted into the center comes out clean with crumbs, or until the cake bounces back when gently pressed with your finger. Let the cake cool in the pan for about 15 minutes before removing from the pan. If you let the cake cool completely in the pan it creates condensation and the bottom of the cake will become soggy. What is the best pan for pound cake? 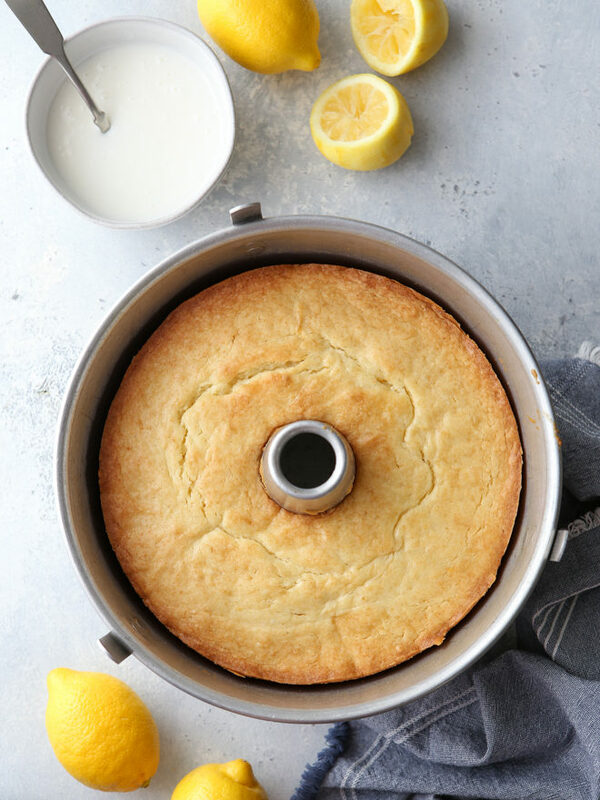 There are a few options when it comes to baking pans for pound cakes. What you choose may depend on what you have stocked in your kitchen, or the look you are going for. Use a tube pan  for a simple round cake. The hole in the middle helps the cake bake evenly. A bundt pan  is similar to a tube pan, just with more flair. Be sure to grease it well. A loaf pan  is a simple but classic option. You can line it with parchment paper too, which makes removal from the pan a breeze. Note: This recipe was created for Go Bold with Butter . Find the original recipe here . Preheat oven to 325°F. Grease a tube pan or bundt pan with butter and flour. In the bowl of a stand mixer fitted with a paddle attachment, beat the cream cheese and butter on high until smooth, about 2 minutes. Add the sugar and lemon zest and beat until light and creamy, 2-3 minutes. Add eggs one at a time, scraping down after each. Mix in the vanilla. Add the dry ingredients and mix until just incorporated. batter will be thick, do not overmix. Spread the cake batter into the prepared cake pan and bake until lightly golden brown and a toothpick inserted comes out with a few moist crumbs, 1 hour to 1 hour and 15 minutes. Cool in the pan for 15 minutes, then turn out onto a wire rack to cool completely. To make the glaze, whisk together the powdered sugar and lemon juice. 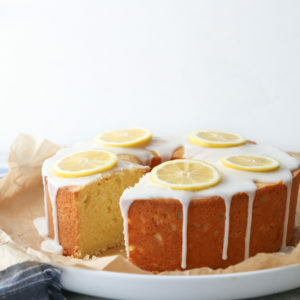 Pour over the cooled cake and garnish with lemon slices or zest, if desired. Let glaze sit up for 15 minutes before slicing.